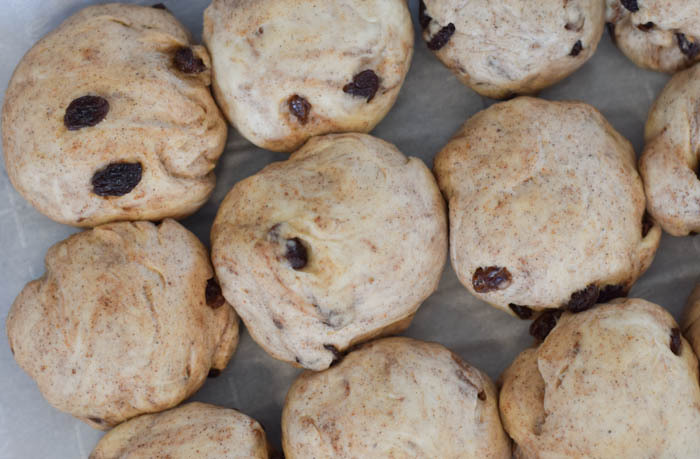 A sweet bread with all my favorite flavors paired with juicy raisins all together in a little roll. It's topped off with a sweet sugary glaze to finish off the flavors. 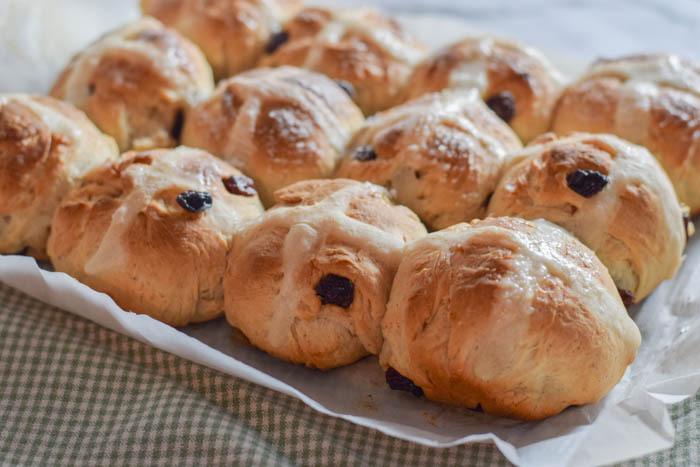 The most significant part of the hot cross buns is the cross itself baked into the roll. 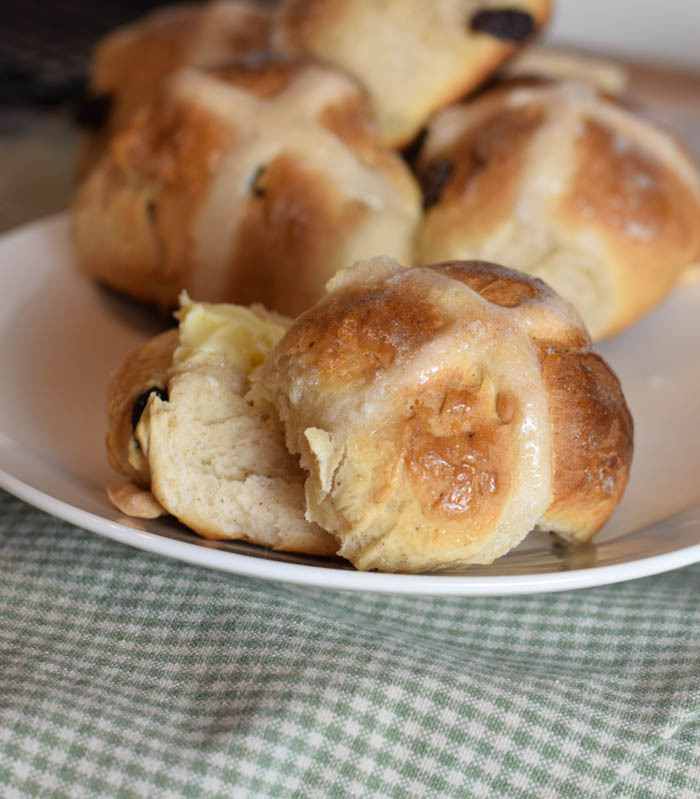 Perfect for Easter....but really delightful any time of the year! I love making bread at home so I'm looking forward to making these more often! You really can't beat homemade breads and buns! My favorite part is while they are still warm, splitting the bun in half and smearing butter on both pieces. It instantly melts and tastes so so good! 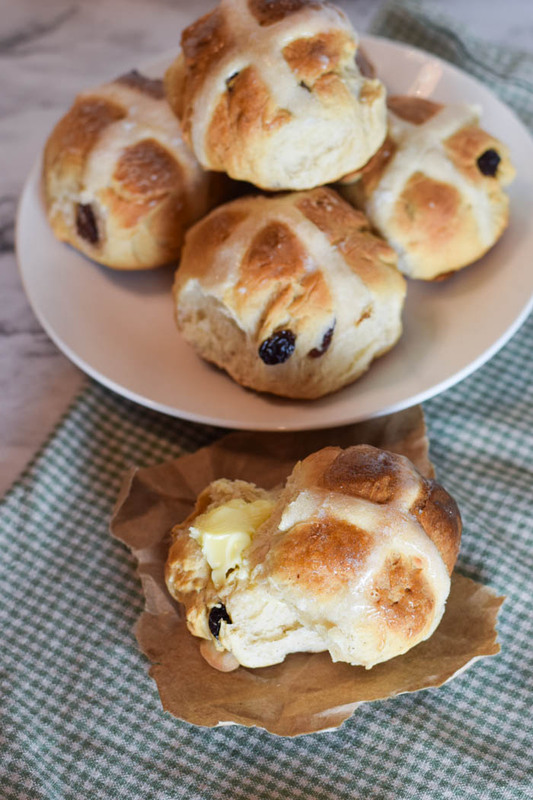 The hot cross bun is not too heavy so its great enjoyed as a side with dinner, or for breakfast! Or anytime really....I'm snacking with one right now as I write. 1. In a medium mixing bowl or a stand mixer combine the warm water and the yeast. Mix until dissolved. Let sit for 10 minutes. 2. Add the sugar and egg to the bowl and mix until combined. 3. Add the nutmeg, cinnamon, ginger, salt, melted butter, baking powder and 1 1/2 cups of the flour and mix on low speed with the dough hook. 4. Add the remainder of the flour and the raisins and continue to mix. The dough will start to form a ball and pull away from the sides. 5. Remove dough, form into a ball and place in bowl that has been lightly greased with oil. Cover the bowl with a towel or plate and sit to rise for 1 hour. The dough will double in size. 6. After dough has risen, transfer dough to a lightly floured surface and press it down flat to take the air out. If dough is a little too dry, add a teaspoon of water and work it in. 7. Divide the dough into 12 equal pieces. Roll each piece into small balls by rolling with your hand against a surface using a circular motion. 8. Place the 12 dough balls onto a lightly greased baking tray or use parchment paper in a 3 x 4 formation. Leave some space between the buns so they can rise more to touch each other. 9. Let rise for 15 minutes before adding the crosses. 10. 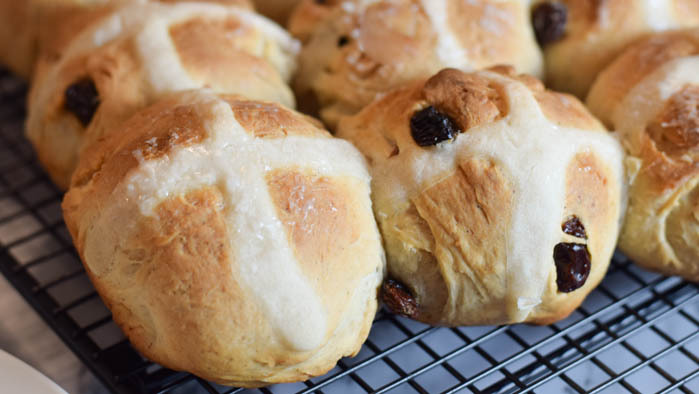 While the buns are rising, prepare the ingredients for the crosses. 11. In a mixing bowl, add the water, flour, and vanilla, and whisk together. It will have a thicker wet consistency, holds it shape, but thin enough to pipe. 12. Transfer the flour mixture into a piping bag or plastic bag with the tip cut off. 13. After the buns have been rising for 15 minutes, carefully pipe the flour mixture across each buns in both directions to form a cross. The cross will bake into the buns. 14. Bake at 425 degrees for 20 to 25 mintues or until the tops are golden brown. 15. While the buns are baking make the glaze by bringing the sugar and water to a boil in a pot. Simmer until a syrup is formed. 17. Glaze the buns as soon as they come out of the oven and let sit to cool. 18. Ready to serve. Best if served the same day or the next day. For more Easter Recipes try the Carrot Cake Cupcakes with Cream Cheese Frosting. Gardening season is here! If you look forward to the gardening season, you're probably itching to get started! 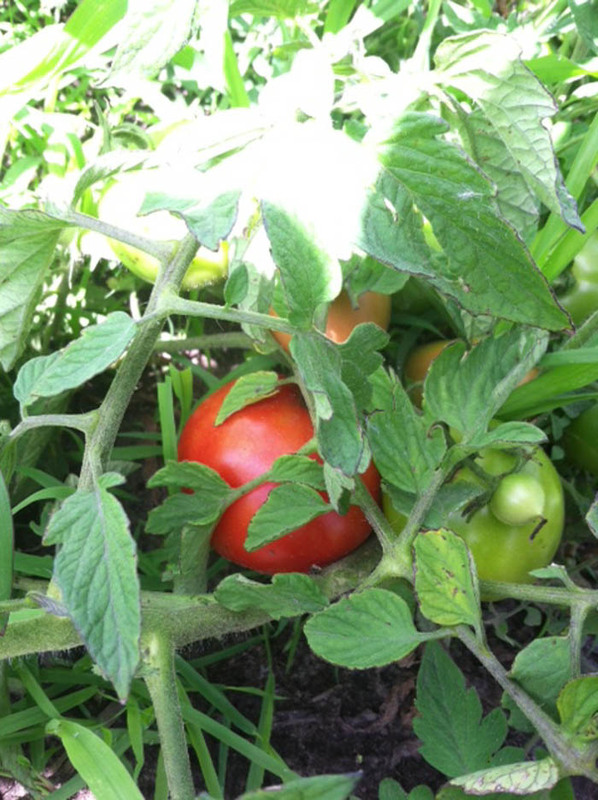 It's always so rewarding to harvest the vegetables that you have grown from the beginning as a seed or small plant. 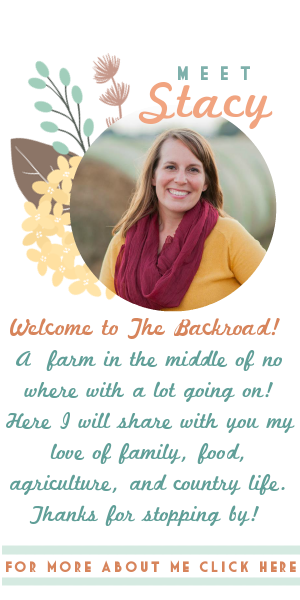 Along with gardening season is also farming season! Gardeners and farmers are both seeking the warm weather ahead to get their crops in the ground. They both work the ground, plant the seeds, care for their crops, and harvest at the end of the season. Gardening and row crop farming are comparable in several ways, the main one as a way of producing food. The overall goal with both gardening and farming is to grow. Thought and preparation are needed for a successful and bountiful harvest. Taking great care of the plants in the field or the plants in the garden are essential for the end result, the harvest! 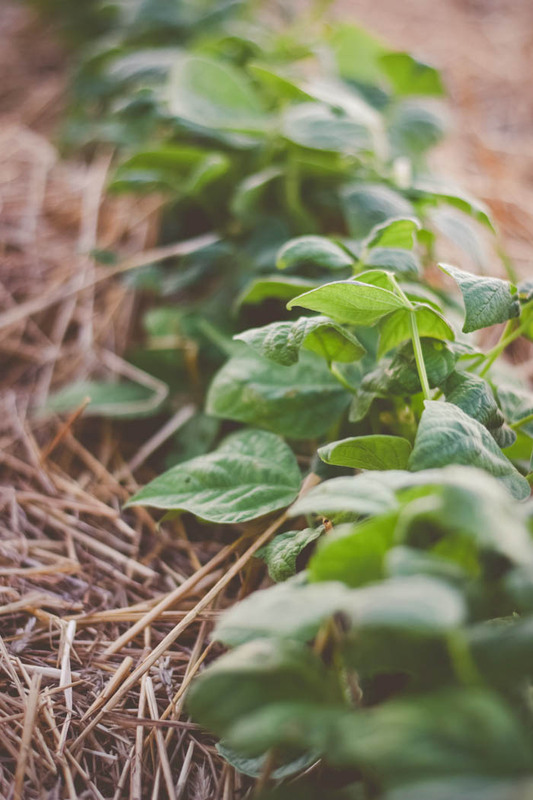 Gardening and row crop farming both endure the same challenges such as weeds, diseases, and bugs they they might encounter within their crops. Gardening and farming both take great care of the land and have the soil's health as a great interest. Here are several basics for creating a successful vegetable garden. 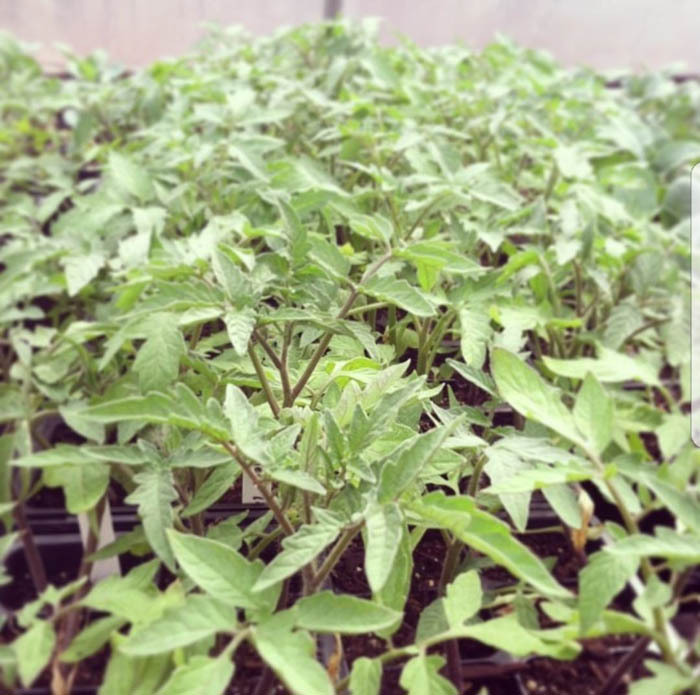 Think about what vegetables or fruit you want to plant, are you wanting to just eat fresh from the garden or also wanting to can and freeze produce from your garden. This might make a difference on how much you want to grow. 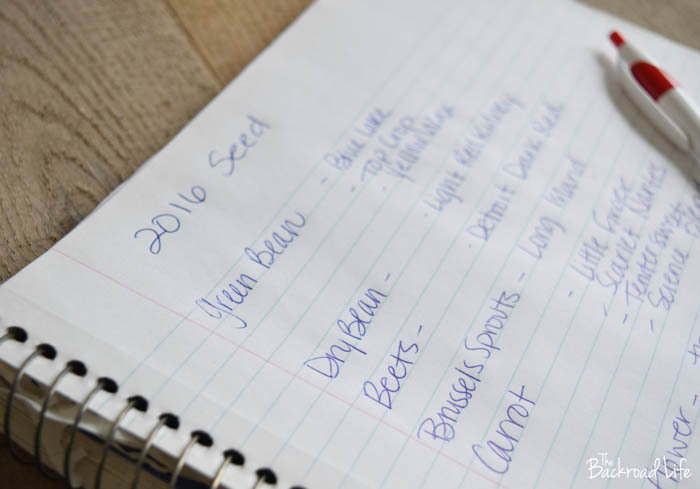 Pick out your location for your garden and buy seeds. Growing your own plants from seeds is a great way to save money on your garden. Grow your own seeds indoors early in the year so they are ready to be planted when the weather is warm enough. There are a lot of seeds that do great with starting indoors, but keep in mind some also are best for direct sowing right in the ground at the beginning of the season. 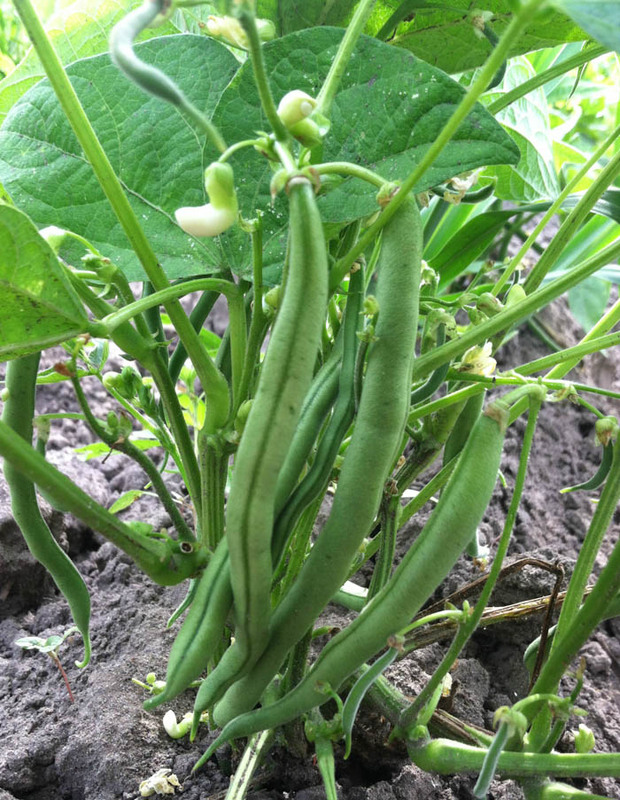 You can extend your growing season by planting these cold weather crops in early Spring (as well as late Fall). The nice thing about cold weather vegetables is that they can be planted outside as soon as the ground can be worked. Cool weather vegetables are meant to be planted in cooler weather. So Spring and Fall. 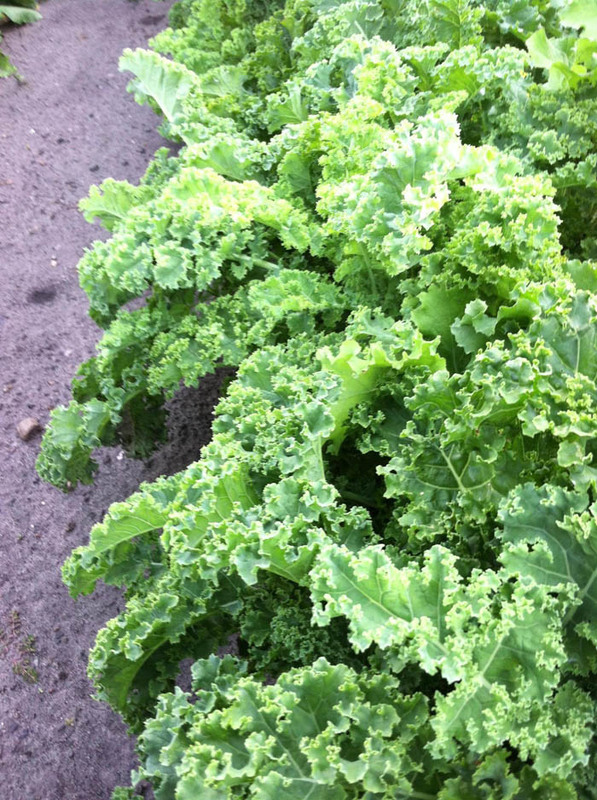 Plant in early Spring for spring harvest and late Summer for Fall harvest. A well mulched garden will save you hours of weeding. A good layer of mulch between rows and plants will shade the soil preventing sunlight to reach the weed seeds to germinate and grow. The mulching also helps the soil withhold moisture underneath. 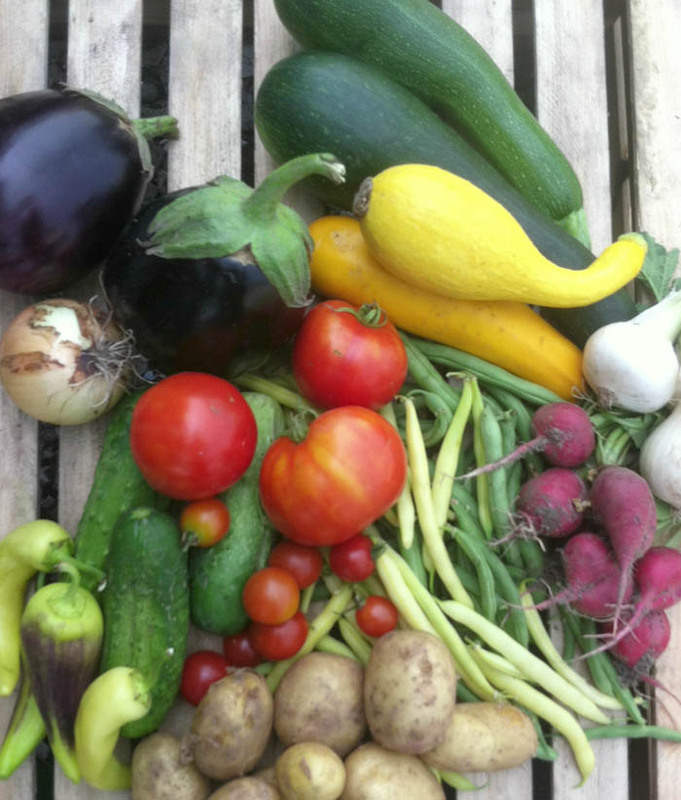 If you aren't able to grow your own garden, a CSA is the next best thing! I look forward to gardening season every year! I love having a garden and having fresh vegetables right outside my door. 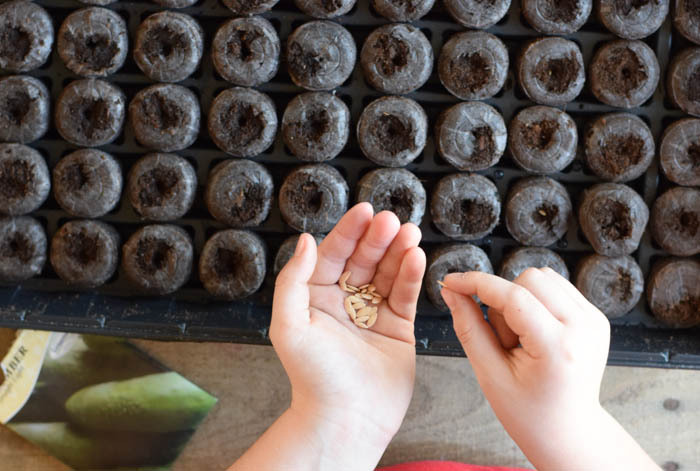 We start our seeds indoors to transplant them later into our garden when the weather is warmer. When the weather is warmer, we start outside with soil prep and then get our vegetable transplants planted and direct seeding sown. As Spring continues we enjoy watching our seeds sprout and our plants grow. The garden starts out with all the plants in nice rows. Then mid summer hits so do the weeds! Lots and lots of weeds. Less weeds in the garden, less disease, more harvest. Mulching moderates soil temperature changes. 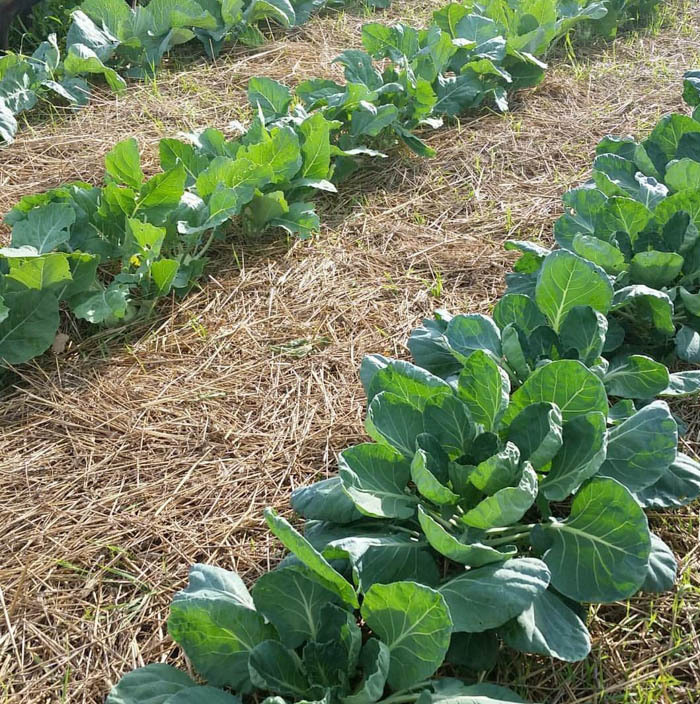 Organic mulches break down over time, adding nutrients and enriching your soil. Straw: We like to use straw in our garden for mulch. 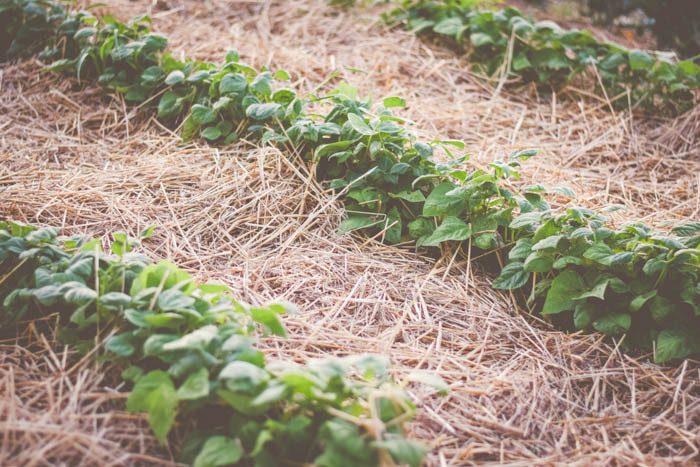 We bale our own straw, so it is more available to us, but it is our favorite mulch to use. It is easy to put down throughout the garden. It doesn't compact, breaks down slowly, and last for a long time. You can find mulch at your local farm store or from a local farmer. Grass Clippings: Gather up grass clippings from your yard and put down in the walkways and around your plants in the garden. Landscape Fabric: There are a lot of different kids of landscape fabric to choose from. Lay down a strip of the landscape fabric material between each row or lay down a strip and plant your vegetable plants within the landscape fabric. - Start by covering the walking rows with the mulch. It's so much easier not having to maintain the unplanted area of your garden. Place about 4 inches of mulch down. - Then mulch around the plants in the garden. Do this to keep the weed seeds from germinating and growing within your vegetable plants growing rows. Layer about 2 to 3 inches of mulch around the plants if using an organic type mulch. - Keep the mulched area clean, should any weeds get through the mulch. When the soil is covered with mulch, very few weed seeds are able to germinate. Weeding can definitely be time consuming and although mulching takes a bit of time in the beginning, it will save you so much time later in the season when the weeds are growing the most. 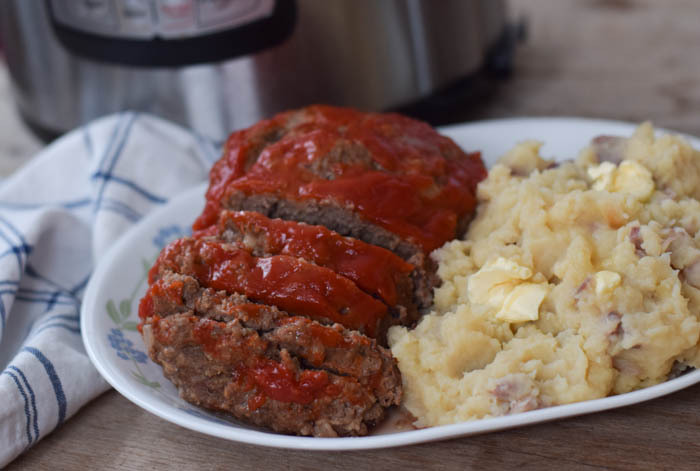 Meatloaf and mashed potatoes is right up there with being one of my favorite meals! Comfort food at its finest! Making it in my Instant Pot has made me love it even more. Combining two classic comfort foods together into one meal that comes together quick and easy. Pair it with a favorite vegetable and roll for more sides and you've got a whole complete meal. 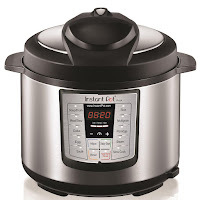 If you haven't taken the Instant Pot plunge, definitely don't delay. 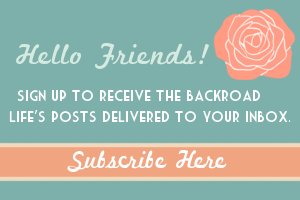 It has been such a time saver in our home and helps get meals to the table much quicker. 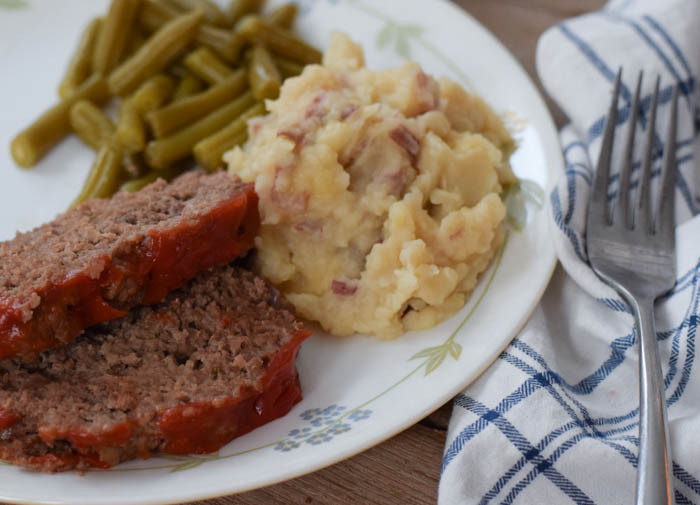 Meatloaf takes me back to my childhood, its always been a meal I have loved, plus lots of great conversations take place at the dining table. A busy weekend morning sorting calves, then enjoy a nice meal before getting back to work again. It is also a meal that my family these days enjoys as well! 1. 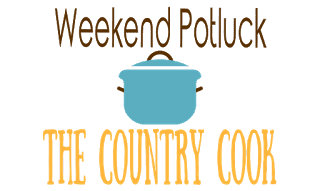 Add quartered potatoes to the bottom of the Instant Pot insert bowl. Pour water in over potatoes and set aside. 2. In a mixing bowl add the ground beef, onion, Saltine Crackers, black pepper, garlic powder, egg, milk, Worchestershire Sauce, and parsley. Use your hands and mix everything together until well mixed. 3. 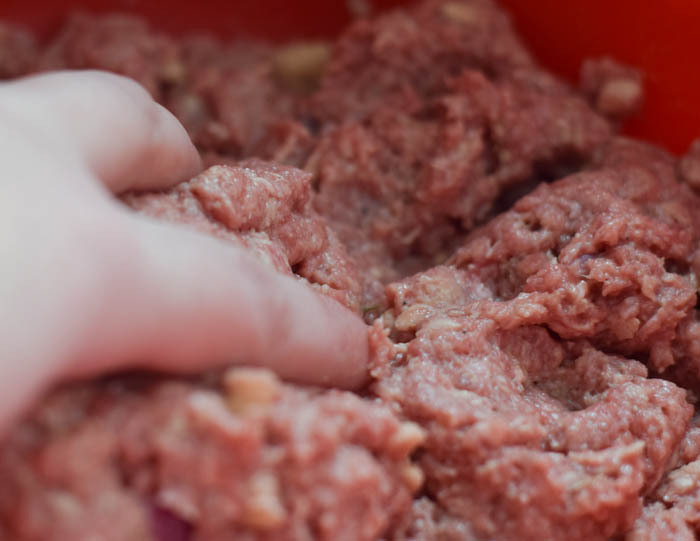 Create a ball out of the meatloaf mixture and then form it into loaf size. 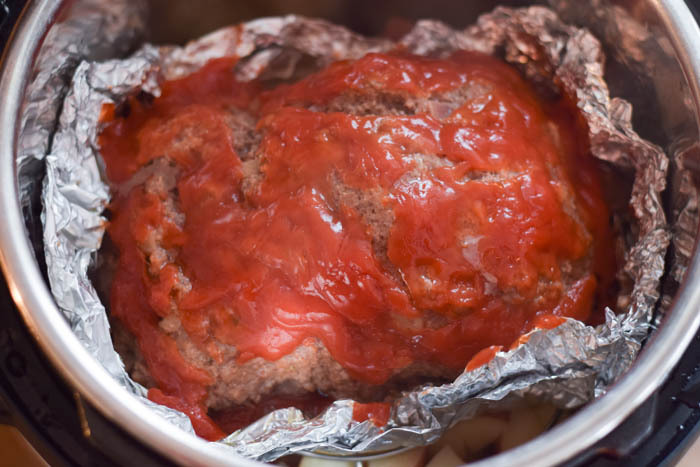 Using aluminum foil create a loaf bowl and place the meatloaf inside. Be sure to leave the top edges of foil a little taller than the loaf for an juices to stay inside the foil. Add a layer of ketchup to the top of the meatloaf. 4. Place the meatloaf in the foil inside the Instant Pot on top of the potatoes. 5. Turn on Instant Pot, lock lid, set to Manual for 35 minutes. When time is up do a quick release and remove lid. 6. 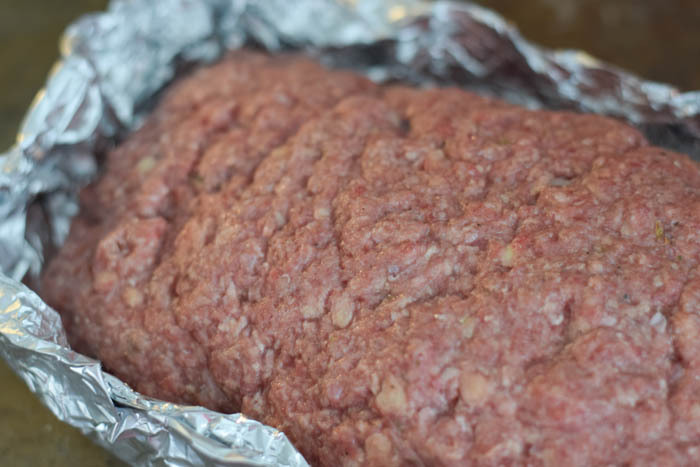 Remove foil with meatloaf and add another layer of ketchup for your liking, set aside. 7. 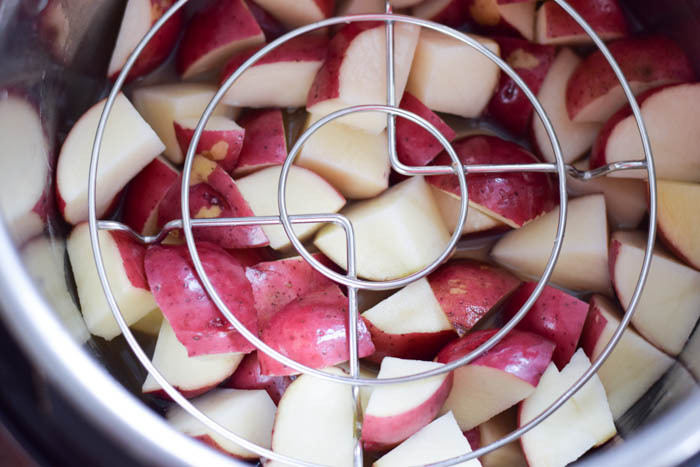 Add the remaining milk and butter to the Instant Pot insert bowl with the potatoes and mash them using a Potato Masher. 8. 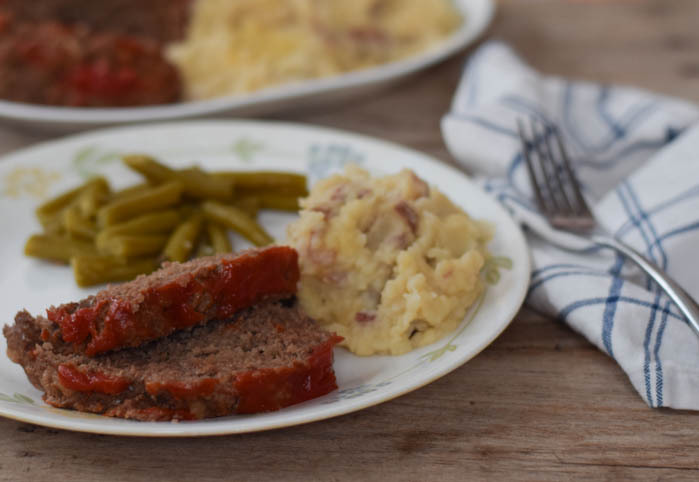 Slice the meatloaf, then dinner is ready! 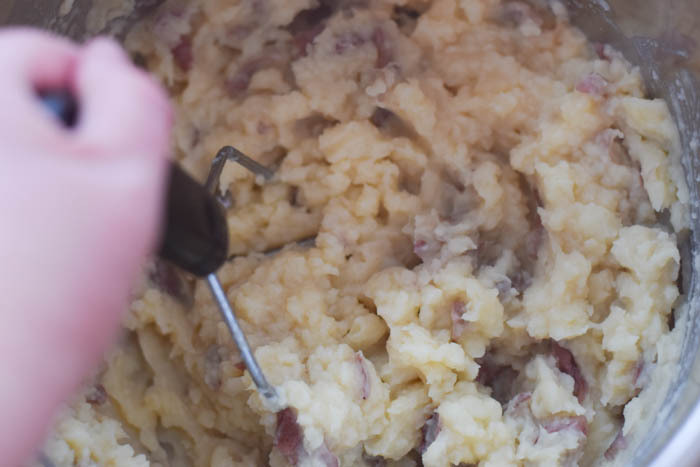 I like my mashed potatoes somewhat chunky but you can also use a hand mixer if you prefer yours to be really smooth. I like the skins on the potatoes, but you can also take them off. If you prefer BBQ sauce instead of Ketchup, you can make the switch with that. This meal is always a hit for our family and I especially love that is is prepared and cooked in one pot as well dinner coming together faster. Growing your own plants from seeds is a great way to save money on your garden. 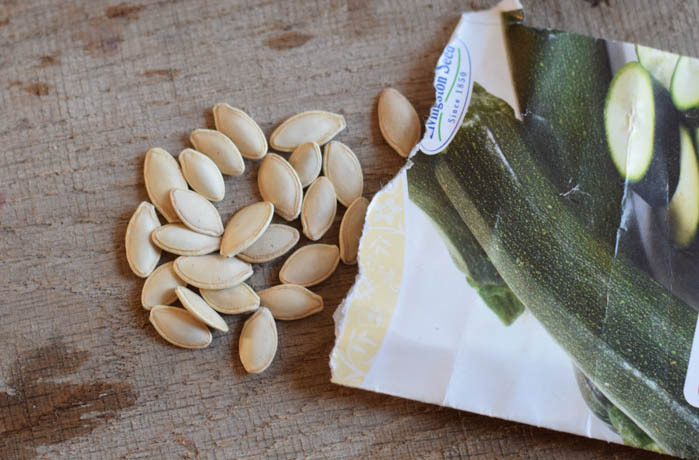 Grow your own seeds indoors early in the year so they are ready to be planted when the weather is warm enough. 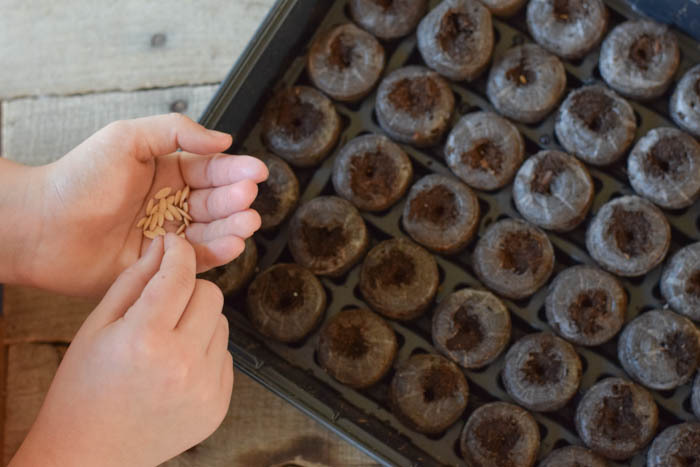 Starting seeds indoors is a great way to extend the growing season. Warm season vegetables like tomatoes and peppers and cool season vegetables do well with being started early and transplanted later into the garden. First step is deciding what seeds you would like to grow for the vegetables you would like in your garden. 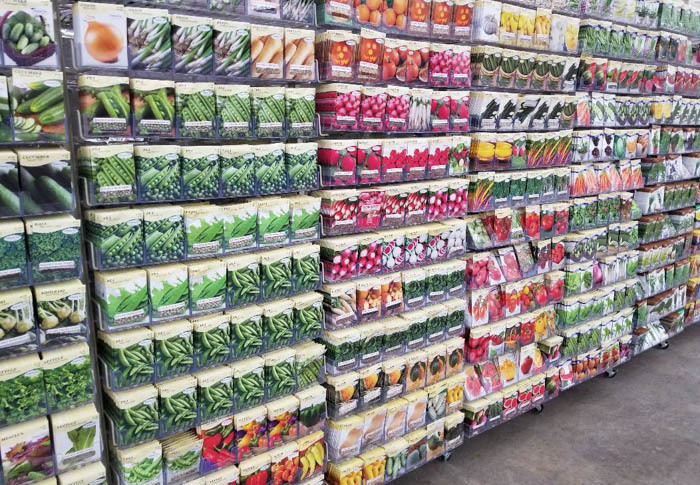 You can find seed packets at most general stores. Also be sure to check out your local garden center, where you can find seeds in the packet, but also in bulk. You might also buy seeds from some seed catalog companies. We grow a large amount of vegetables in our garden, so we always buy in bulk from some seed companies. 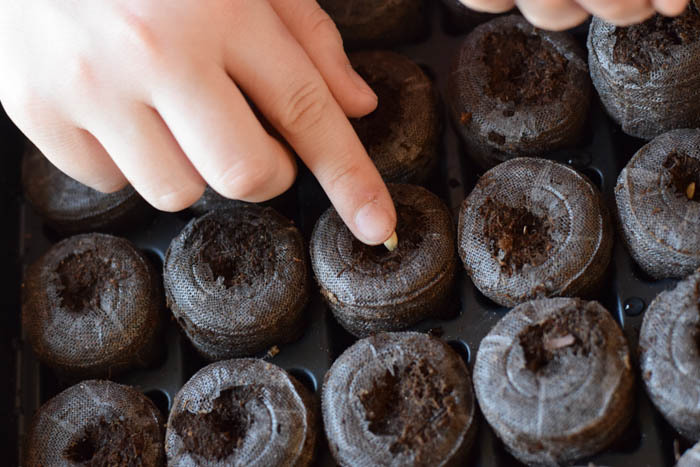 Seeds need to be started early enough to be a good size when transplanting. You should start seeds indoors generally between 6 to 8 weeks before the average frost date. You'll want to read each of the seed packets to see what it says for when to plant seeds indoors for each type of seeds you'd like to grow. Some seeds are fast growers and others take a little longer. 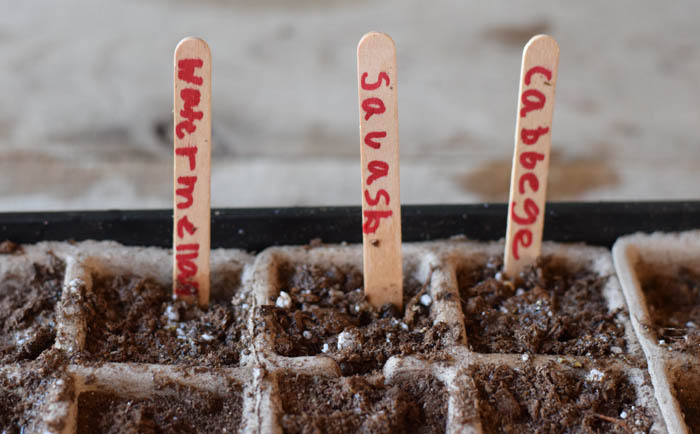 Fast seeds may only take a few weeks to grow large enough to transplant into the garden, while others are slower to germinate and takes the seeds longer to grown. Every growing zone has different seed starting dates based on the average first frost. On the back of the seed packets, will tell how many weeks ahead of the first frost date to sow the seeds. There are several seed starting supplies and equipment around, but the basics are seed planting trays, a good quality soil mix or peat pellets. You can use eco-friendly pots that can be planted right in the ground at the time of transplanting or plastic cell trays, where you will remove the soil cube with the seedling in it to plant. I like to use the peat pellets. 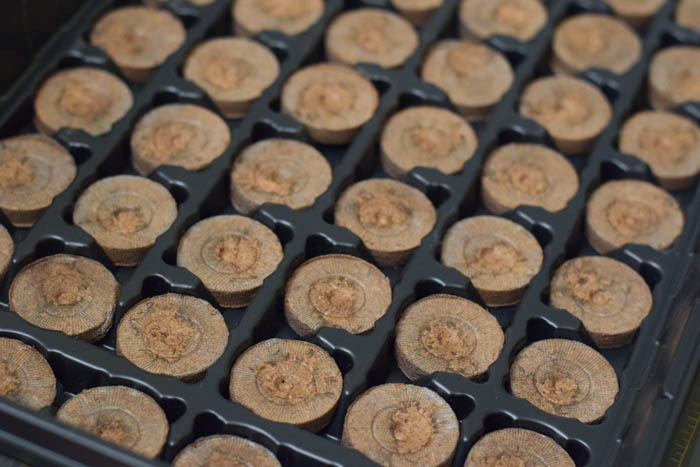 They are available already in a peat pellet kit or you can buy them in bulk and put them in the tray yourself. Then add water over the tray for the pellets to absorb and they will expand and be ready to plant in. Water them in the trays and watch your seeds grow. But any growing container will do just fine. In addition to the essentials needed for starting seeds indoors, you might also want to get glow lights, a heat mat, and fertilizer. But these are not needed. Seeds like warm temperatures to grow. This is why if you want to start them ahead of time, indoors works well. Warmer temperatures trigger the seeds that it is time to start growing and they will germinate and grow better than in colder temperatures. If you have a dark basement, seeds can still grow there with the proper equipment, like grow lights and a heat mat. - Fill your seed trays with a seed starting soil mix. Make sure the soil is loose and not packed in. 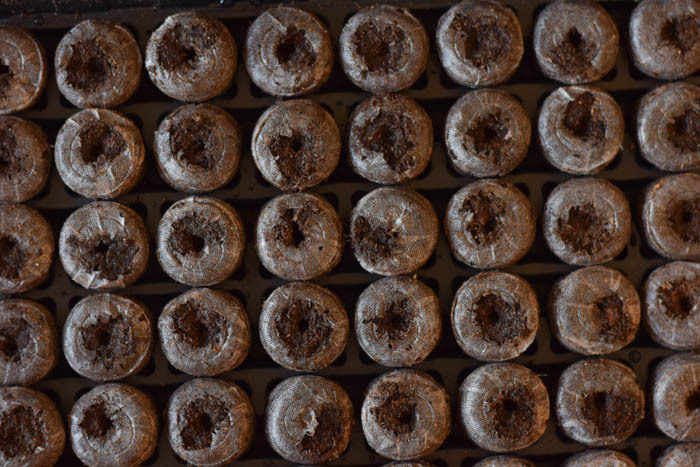 If using peat pellets soak to get them so they expand and will be ready for planting. - Its convenient when sowing seeds to have the seeds from one vegetable in one hand and use the other hand for the actual planting. - Make a hole in the soil first and gently press the seed into the soil to the correct planting depth. A good rule of them for planting depth is twice the side of the seed. - Gently cover each seed with soil and pack it down lightly to ensure the seed is covered. - Be sure to label what seeds you planted. 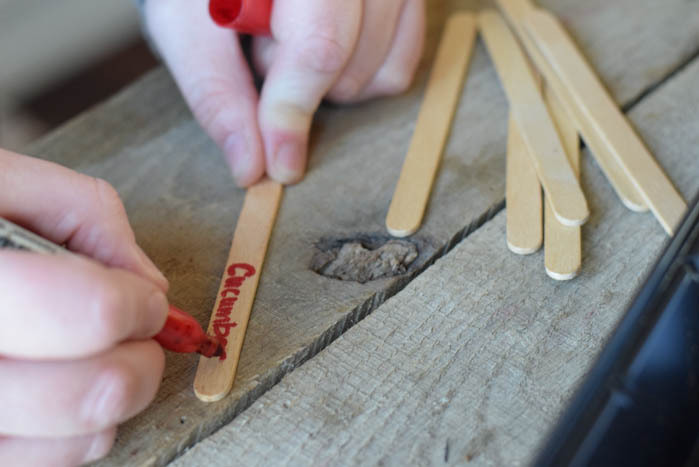 I like to use popsicle sticks for an easy way to label. - Water the seeds by putting water in the tray and it will be soaked up by the soil. Also use a spray bottle and mist the tops of the seed trays. If you want you can cover the seed trays with plastic wrap or the clear lid that comes with some of the kits. This will retain moisture and create a greenhouse effect and hold in some of the heat. Once the seeds have sprouted, you don't need to cover them any longer. -Keep the soil moist but not overly wet. 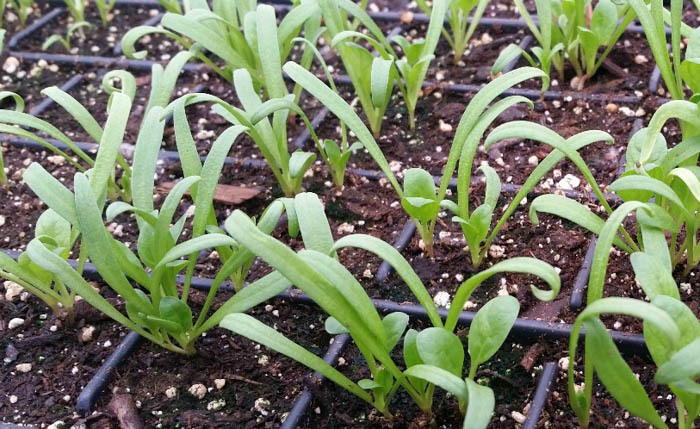 -If the seedlings are growing near a window, occasionally you will need to turn the trays so the plants are exposed to sunlight on all sides and don't only grow and lean in one direction - toward the window. - About a week before you plan to transplant the seedlings outside in your garden, you will need to harden them off. Hardening off is a term used in gardening for getting seedlings used to the outside. 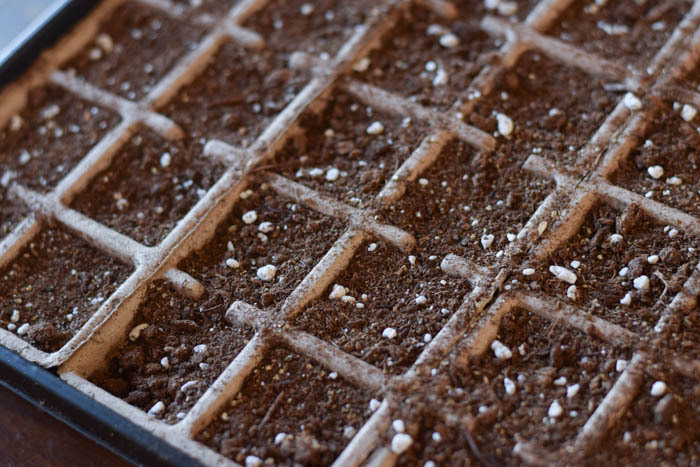 To do this, start by placing the seed trays outside for a couple hours each day. Increase the amount closer to the time of planting and eventually leaving them out all day. - Transfer your seedlings and plant them into your garden. Seed starting is a fun early season gardening project. It takes a little time but has huge rewards with leading to a bountiful harvest.